THE HAGUE–Member of the Second Chamber of the Dutch Parliament Nevin Özütok of the green left party GroenLinks wants to know why a copy of the St. Maarten Progress Committee’s February 22, 2019, letter was not forwarded to the Second Chamber. Progress Committee’s letter to St. Maarten Prime Minister Leona Romeo-Marlin and Dutch State Secretary of Home Affairs and Kingdom Relations Raymond Knops (see related story) was not part of the package that was sent to the Dutch Parliament in relation to the committee’s 32nd report on the Pointe Blanche prison. 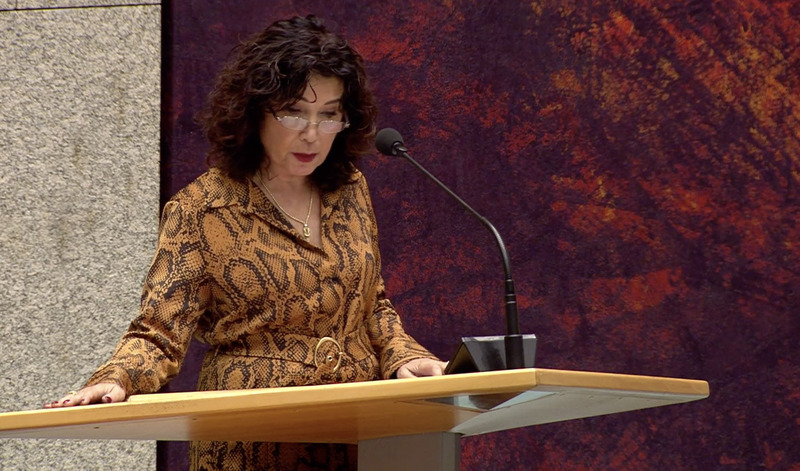 In her written questions sent to Knops and Minister of Legal Protection Sander Dekker on Wednesday, Özütok enquired whether the Second Chamber would still receive the Progress Committee’s letter, accompanied by the Dutch government’s response to the committee’s suggestions and concerns. The committee noted in its letter that in the relations between St. Maarten and the Netherlands, there was dialogue and cooperation between the two countries on several subjects, but this did not seem to be the case where it concerned the detention situation in St. Maarten. “What is your opinion on the Progress Committee’s criticism that the Netherlands and St. Maarten have made insufficient attempts to break the lengthy impasse concerning the St. Maarten prison? Do you agree that constructive cooperation is needed, considering the very worrisome detention circumstances?” asked Özütok. She wanted to know how exactly the Dutch government had assisted to improve the detention facilities and whether the committee’s conclusion was correct in the sense that the situation at the prison had further deteriorated. Özütok also expressed concerns about returning the St. Maarten detainees who have been locked up in the Netherlands since the 2017 hurricanes. Dit bericht werd geplaatst in _Nederland, _Sint Maarten, Politie & Justitie, Politiek, SXM-Daily Herald. Bookmark de permalink . Dit is het gevolg als je onbekwame en corrupte bestuurders hebt, wij worden in plaats van onafhankelijk steeds meer afhankelijker van Nederland en nu bemoeien zelfs Turkse parlementariërs met het beleid hier. Deze vernedering hebben wij zuiver en alleen aan onze eigen politici hier die altijd persoonlijke belangen voor landsbelangen zetten. Ik vraag me toch af, een Turk is toch niet meer dan een neger?